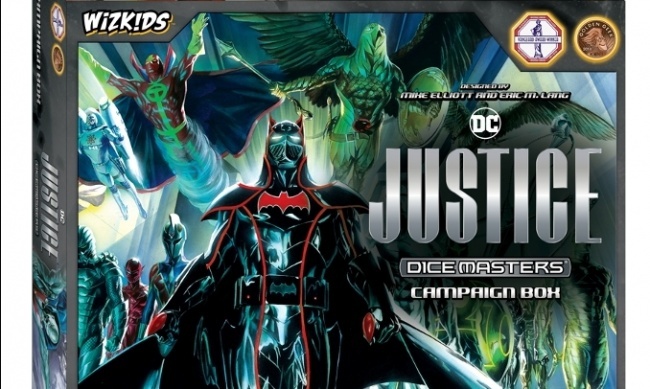 The DC Comics Dice Masters: Justice Campaign Box will join WizKids’ proprietary dice building game platform designed by Mike Elliott and Eric M. Lang in September. 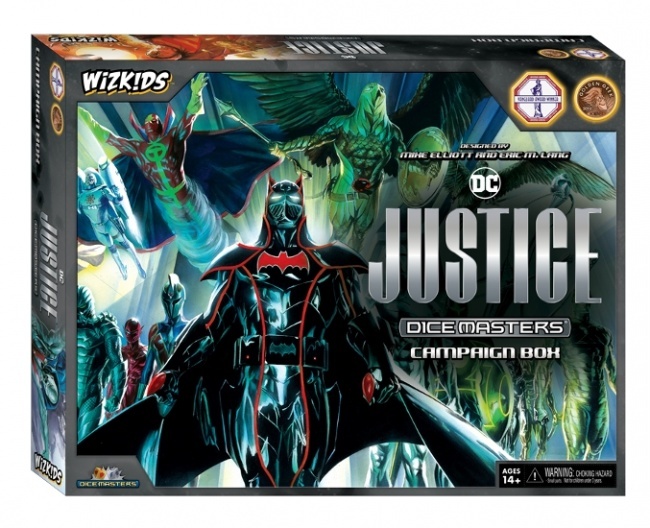 The campaign box will include 15 Justice League and Legion of Doom members including Superman, Wonder Woman, Lex Luthor and Metallo. There will be multiple versions of each character, so players can select the one that best fits their team. The campaign box is a fixed content release that includes everything two players need to play Dice Masters, including Sidekick dice, Basic Action Dice, rules, and dice bags. MSRP is $39.99. 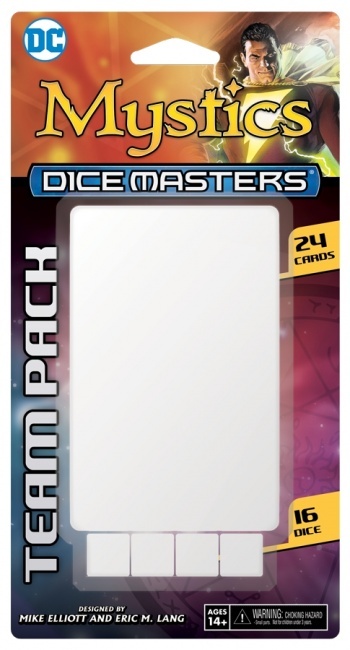 Accompanying this release will be two DC Comics Dice Masters: Team Packs, featuring the Doom Patrol and Mystics. The Doom Patrol Team Pack includes classic members of the Doom Patrol: Elastic-Girl and Robotman, and allies like Plastic Man. The Mystics Team Pack includes Shazam! Captain Marvel Jr., Mary Marvel and Black Adam. Each Team Pack includes 24 cards and 16 dice and has an MSRP of $9.99. This release will follow the Warhammer 40,000 Dice Masters Campaign Box and Team Packs (see “'Warhammer 40K' Invades 'Dice Masters'”), and like that release, will be available from multiple distributors (see “'Dice Masters' Box Games Are Non-Exclusive”).